Free and open to all, IronCar is the first championship of autonomous reduced model cars in France. Launched in February 2018, this event boasted nearly 250 participants who competed in 7 suspense-filled races. At the end of the last leg, the Winter Race held on Saturday, November 24, 2018, the EPITA EpitAutoCar team succeeded in taking third place in the general classification ! The EpitAutoCar team and Reda Dehak, teacher-researcher at the LSE and department head of the SCIA major. The performance was far from being anecdotal. By completing 3 laps in only 1’36 minutes during the Winter Race, the EpitAutoCar team with Richard Cai, Ugo Duchemann, Fabien Houang and Hippolyte Maes (EPITA class of 2019) did not only win second place but were able to finish the first edition of IronCar in style. 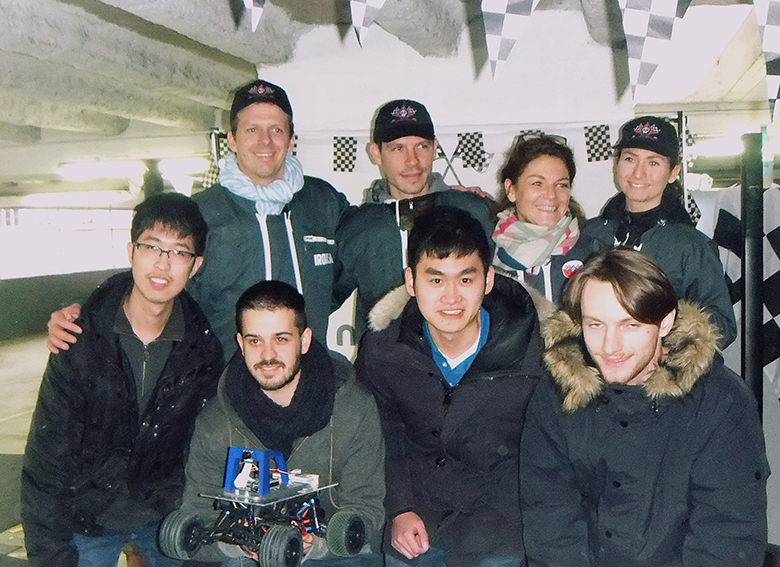 A great success, thanks to their deep learning technology and the stability of their autonomous mini-car. 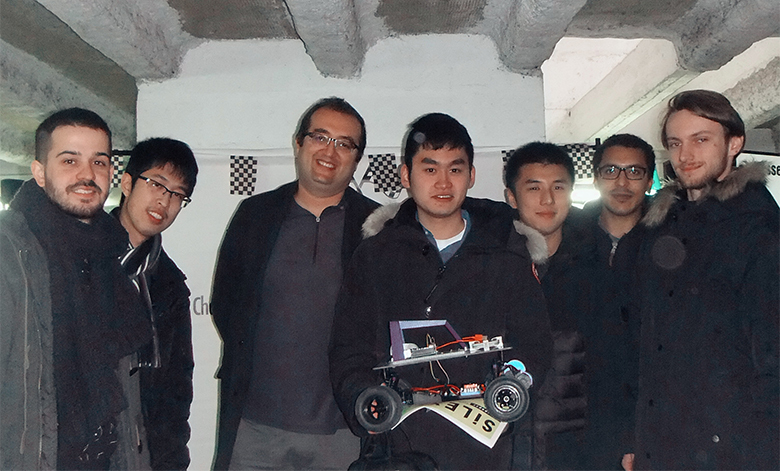 Indeed, these four 5th year students worked very hard on developing a vehicle that matched their lofty ambitions. Designed in part thanks to the technical drawings and indications that the contest organizer made available on open source, this EPITA car also bears the students’ personal touch. 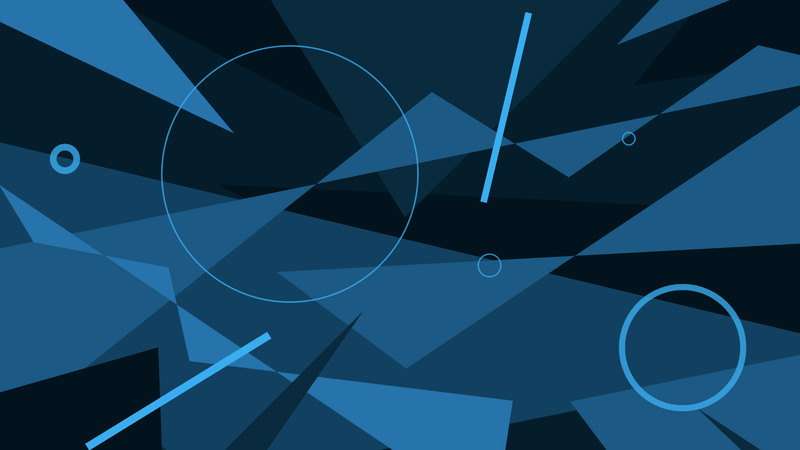 “Our neural network is completely trained using program-generated artificial images, while the other teams used images taken directly from their cars’ cameras.”, explained Hippolyte Maes. Hence, the secret behind their success does not lie in their choice of material, but rather in the mastery of this technology. In addition, their car was more stable than the others, which is a significant advantage in the bends allowing it to remain on the track. For these Data Science and Artificial Intelligence (SCIA) majors, this competition was an opportunity to put their knowledge into practice. A field of expertise at EPITA, this major teaches students cutting-edge technologies in artificial intelligence with big data analysis, pattern recognition (images and words) and machine learning. The students were thus able to practice what they learned during this enjoyable championship, while working on their End of Studies project.